The term latent learning refers to the process in which learning takes place, but there is no demonstration of that knowledge until a reward or incentive is present. A student is taught how to perform a special type of addition, but does not demonstrate the knowledge until an important test is administered. A passenger in a carpool learns the route to work each day through observation, but does not exhibit that knowledge until it is necessary for him to drive the same route. 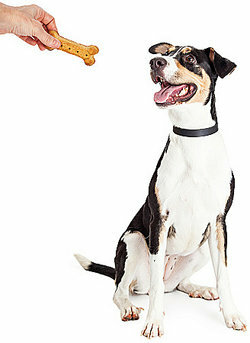 A dog is taught to sit but does not do so until offered a treat as a reward. A child observes others using proper manners but does not demonstrate that knowledge until prompted to use the manners. A cat is taught to use the litter box, but does not do so until given rewards when he does use it. An employee is taught how to do specific higher level tasks but does not demonstrate the ability to do them until he is given a promotion. A person is taught how to use a computer, but does not do so until given one as a gift. A college freshman is taught study skills, but does not study until failing several exams. Upon using the skills taught to him, he is successful on exams. A parrot is trained to talk but does not do so until offered treats as a reward. A child is trained by parents to use the bathroom but does not do so until given rewards for doing so. A college student is taught how to teach, but is unable to demonstrate that knowledge until she receives a teaching job. A child observes how to make peanut butter and jelly sandwiches, but does not do so until given the opportunity to make one himself. A driver watches tire pressure being measured, but does not exhibit the ability to do so until she needs to check if her tire requires inflation. A dolphin is trained to dance with its trainer by watching others, but does not do so until given fish as a reward. A child learns how to dance by watching characters on television, but only demonstrates that knowledge once asked by others. A person learns to cook by watching cooking shows on television, but exhibits the knowledge later, when asked to make a dish for a work event. A child learns to sew by watching her mother, but does not sew until she loses a button on her own shirt. A student learns to paint by watching others, but does not do so until he must paint a picture for a grade in an art class. A person learns how to wash dishes, but does not wash dishes until she lives by herself. A person learns how to unclog a drain by watching others do so, but does not perform the function until her own drain clogs. Children learn how to see saw by watching others at the playground, but until they have a friend to do it with, they do not demonstrate the knowledge. A young boy learns how to play basketball but does not demonstrate that knowledge until he joins a basketball team. Latent learning is very common, as these many examples show. "Examples of Latent Learning." YourDictionary, n.d. Web. 23 April 2019. <https://examples.yourdictionary.com/examples-of-latent-learning.html>.